We are engaged in providing an effective range of Rust Preventing Chemicals that gives protection to metal for short as well as long term. Our Rust Preventing Chemicals prevent metal from rust by forming a cohesive bond between final finish and surface of the metal. 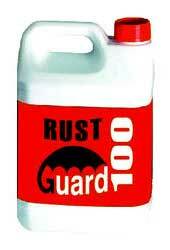 These Rust Preventing Chemicals are cheap and formulated effectively thus, widely used in various industries.